2. You will be presented with the Properties tab, in the Image Keywords box you can type your keywords. 3. 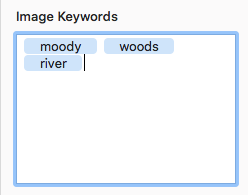 Type each image keyword and press enter to create a break between the words. 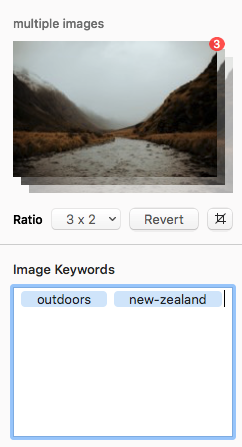 Advanced tip: You can add keywords to multiple images at the same time by selecting them at the same time. Select multiple images by either holding shift or dragging over the images. Change the image keywords and these will apply to all the selected images.